Being in love is a beautiful feeling. If it is crowned by marriage and you live happily ever after, it is a real bliss. Unfortunately, not all marriages last till death does a couple apart. But if the time for the divorce has come, how do you make it a less stressful experience? Depression is a common phase, but the sooner you have realized that your marriage is over, the shorter period of the depression is. The process of the divorce will probably start somewhere in-between second and third phase, and it is a challenging period. You have to live with mixed emotions, meeting your spouse at the court, deal with legal issues, and explain it all to your children if you have them. This is the moment where you must hire the best divorce lawyer, who will be your advisor, listener, friend, and much more. When your marriage is at stake, you want to have the right person next to you at the court. 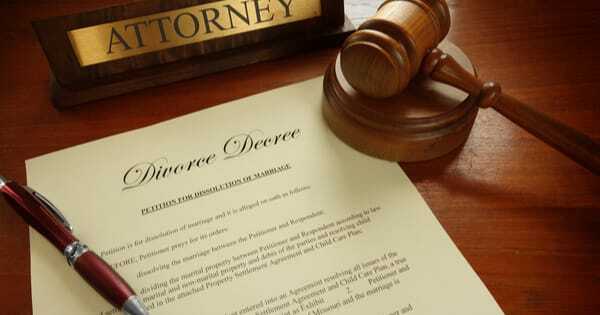 A good divorce lawyer will know all about the divorce and help you not only with legal issues. He will give you pieces of advice regarding paternity, child custody, and support, alimony obligations. Additionally, he will also help you if you have a military marriage which has their specificities, or if you have to divide your property. Eventually, you will enter the acceptance phase, in which you will make peace with your emotions, decisions, and future. Every once in a while you might feel sad regarding past divorce. But, this is the stage you will like. You might even laugh to all the feelings and negative things you felt and experienced before and during the divorce. Finally, you will be able to see a bright future ahead, waiting for you!